Now in the movie's defense, it lasted a whole lot longer than this shake. 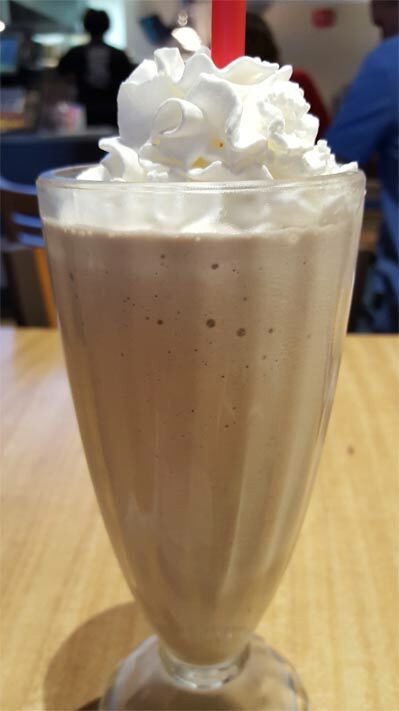 In the shake's defense, it was kind of awesome. The shaky goodness of Haagen-Daz ice cream and real Reese's peanut butter sauce is a match made in milkshake heaven. 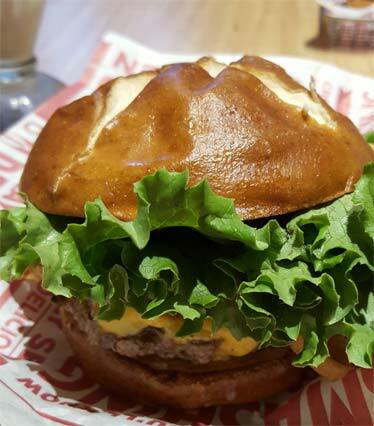 Oh yeah, it's that good, and if you have a Smashburger near by, you need to try this. Now, is it perfect? No. I'd be real curious how this would taste mixed with chocolate ice cream instead of vanilla. See, in a bit of a twist, it's the Reese flavor that hits you first, and then it's got a vanilla milkshake finish too it. So for me personally, rather than savoring it, I inhaled it because I wanted that excellent jolt of Reese flavor that came at the beginning of every sip. There's just something awesome about getting that icy cold liquid version of that oh so familiar Reese taste. I'm just saying the same thing over and over again, aren't I? Look, when it's this good, all you can really say is "yeah, that's really good". Wonderful things happen when you put great ingredients together. Oh, if for some reason you are like me and haven't (hadn't) seen Jurassic World yet, sneak off and catch it before it's gone, preferably in those great bass filled IMAX chairs that shake every time a dino roars. Overall I think they did a really nice job with the film. It's fairly smart, throws out some nice call backs to the original, and it just hit the spot tonight. I love when they sit down and really think about what makes the first one work and try to pay homage to that. Oh, yes, I tried the Windy City Burger. I was about to order a classic when my buddy goes "you like pretzels, you should get that". It was decent, but the spicy mustard wore me down. I tried to compensate with a bit of ketchup but it just wasn't meant to be. At least I tried something different!